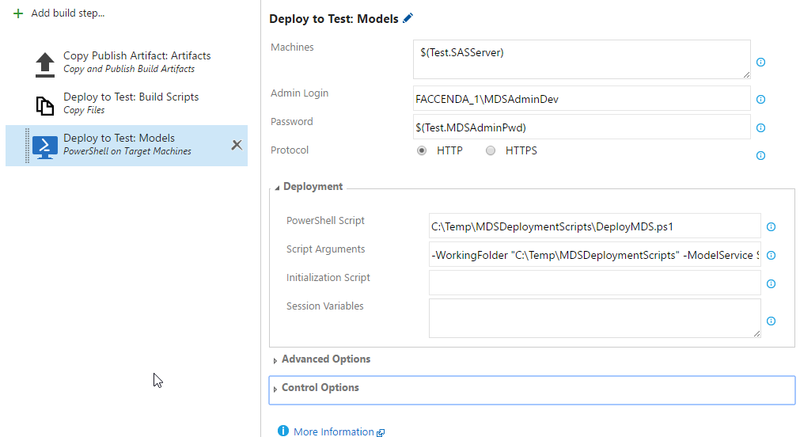 The DevOps Dudes: Deploying Master Data Services (MDS) Models using VSTS! 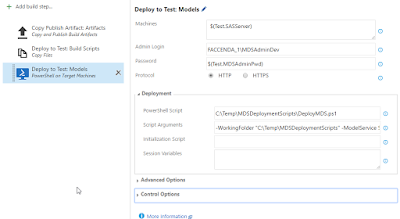 Deploying Master Data Services (MDS) Models using VSTS! However, what it doesn't cover is how to get a Build or Release engine like VSTS to deploy the models remotely. Fortunately VSTS provides a PowerShell on Target Machines Build Task that enables us to execute the MDSModelDeploy.exe command remotely. I have a PowerShell script in my TFS repository that I copy to the target machine using a Copy Files Build Task and then invoke that script using the PowerShell on Target Machines task. Dude...did you ever figure this out?